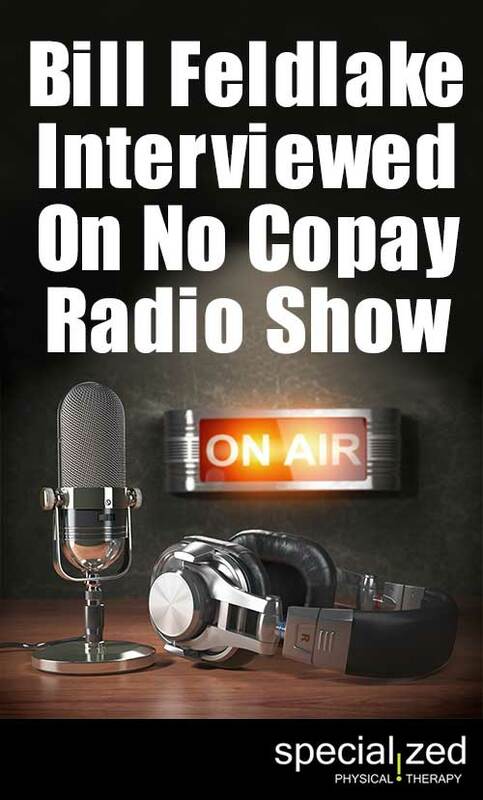 Our own Bill Feldlake was interviewed on the popular No Copay Radio show! Listen to them talk about physical therapy and all the ways it can improve your life! 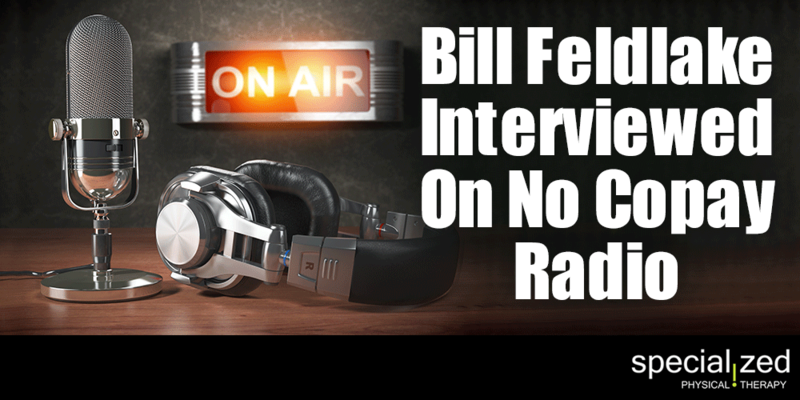 Some interesting topics that Bill and the hosts talked about! Can come in without a prescription and Medicare can cover it if there is a medical necessity. Outpatient (in their home)… medication and surgery are not always necessary! How severe does the pain have to be? Bill, along with his wife Aimee, have owned Specialized Physical Therapy for 17 years and have 4 locations in the Denver area. They are successful due to their focus on their patients, and their emphasis on continuing the education of their physical therapists. Physical Therapy treats all musculoskeletal issues and should be the option used before surgery. Insurance will continue to cover PT if there is a medical necessity. Come in before your small issue becomes a big problem.